I need you guys to get excited with me for a few moments. I think this is my favorite look of the #31dc2017 challenge yet. 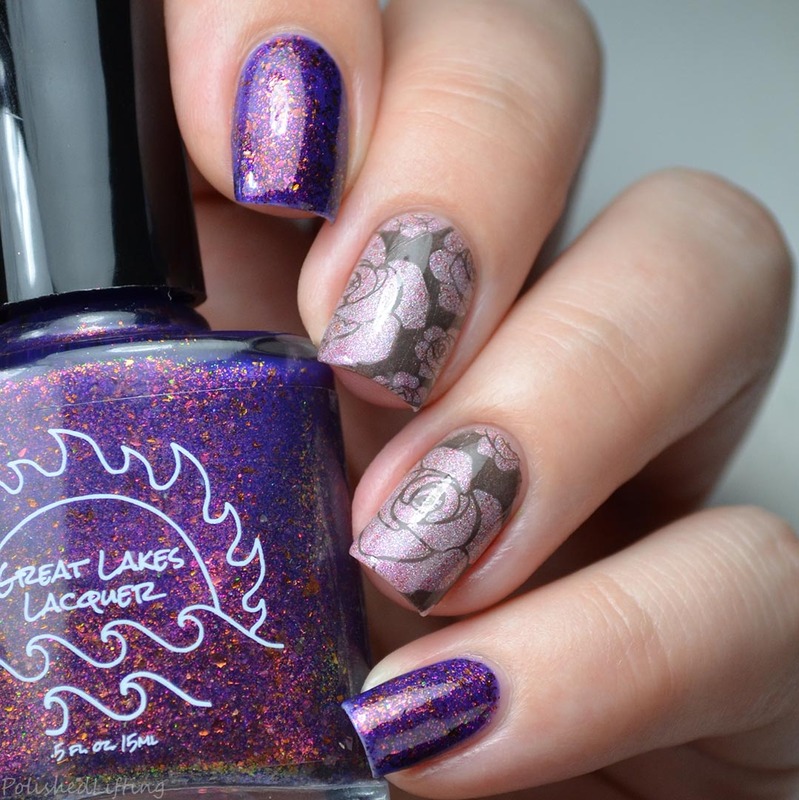 The prompt called for flowers, and with fresh thermals in hand courtesy of Great Lakes Lacquer I knew this could be something great. There's nothing like finding inspiration in new polish! 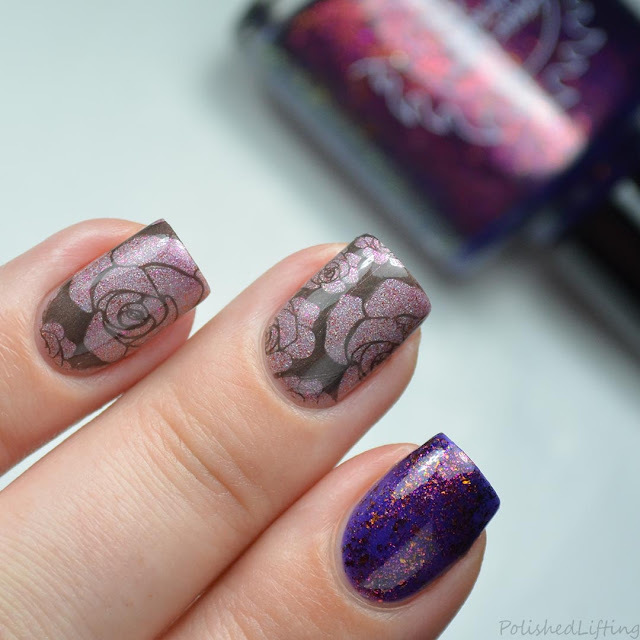 For this look I used Great Lakes Lacquer Festival of Fantasies for my index and pinky finger, and To Thine Own Self Be True for my middle and ring fingers. 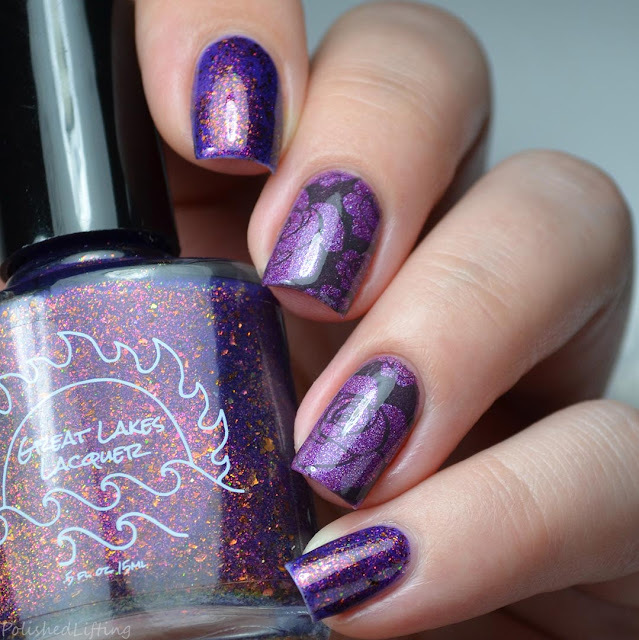 If you read the Great Lakes Lacquer Notes To Self post you know that To Thine Own Self Be True is a thermal. Above is my mani in the cold state. And above this paragraph is the warm state. Pretty fun, huh? I couldn't stop causing transitions all day. Thermals turn me into such a big kid. If you enjoyed this post you might like Great Lakes Lacquer Mermaids Of Lake Michigan | September 2017 LE and Great Lakes Lacquer Notes To Self Collection.